"If the Fed had done its job properly, which it has not, the Stock Market would have been up 5000 to 10,000 additional points, and GDP would have been well over 4% instead of 3% … with almost no inflation, "Trump tweeted. He added: "Quantitative tightening was a killer, should have done the exact opposite!" 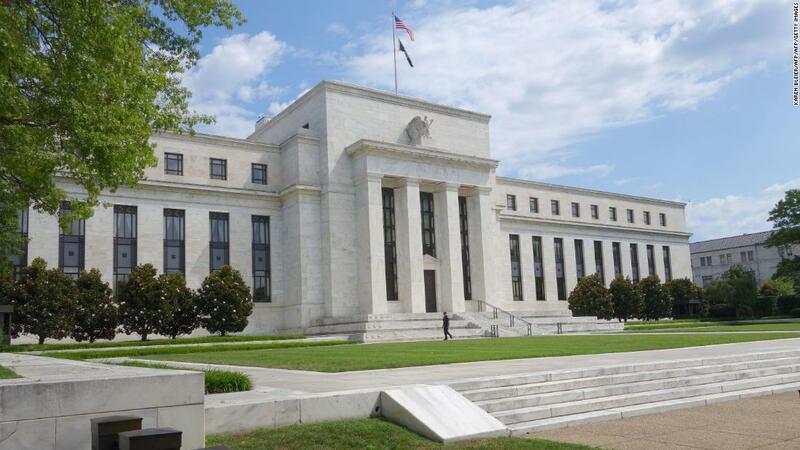 The comments come amid open Senate opposition to his two picks for open seats on the Federal Reserve Board of Governors, former Republican presidential candidate Herman Cain and economic commentator Stephen Moore. Four Republicans said last week they would not vote to confirm Cain, a former Republican presidential candidate who formerly sat on the Kansas City regional Fed board, because of sexual harassment allegations against him. He has denied the allegations. Meanwhile, Moore, a former Wall Street Journal editorial board member and CNN analyst, has been sharply criticized for reversing his opposition to low interest rates when President Barack Obama was in office. A CNN KFILE review of speeches and radio interviews by Moore found that he has a history of advocating self-described "radical" views on the economy and government, including supporting the elimination of the corporate and and federal income taxes entirely. Massachusetts Democratic Sen. Elizabeth Warren on Friday called Moore "unqualified and unsuited" for a Fed seat, writing in a letter to Moore that he has "a long history of making wildly inaccurate claims about economic policy that appear to serve political ends." 1 during Cain's presidential run, a "cool plan." Despite the criticism of the two men, White House advisers have made clear that the President wishes to nominate people who share his economic views. He has repeatedly criticized the Fed, and specifically called out Chairman Jerome Powell – a Trump nominee – over rate increases. Further changes appear to be on hold for now. Last month, Fed officials voted to keep interest rates the same, agreeing to indefinitely stick with an extended pause on rate changes and signaling that the Fed would not hike rates in 2019. The last rate increase came in December. CNN's Donna Borak, Haley Byrd, Katie Lobosco, Andrew Kaczynski, Paul LeBlanc, Manu Raju and Ted Barrett contributed to this report.